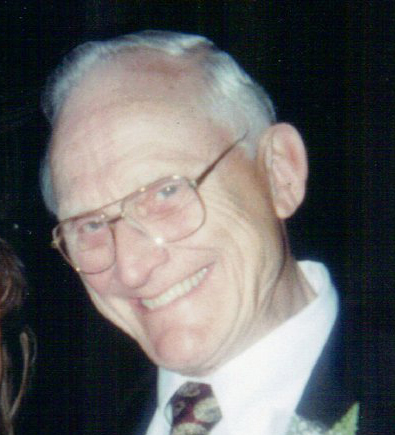 Lough, Donald E., 91 of Springfield passed away March 25, 2019 in the Miami Valley Hospital following a brief illness. He was born in Springfield, Ohio on May 5, 1927, the son of Shelton and Etta Lough. Don retired from SPECO as an Inspector. He served his country in the US Marine Corps during World War II. Don loved to watch baseball but most especially the Chicago Cubs. He was preceded in death by his parents; wife Wanda L. Lough; sons John Hildenbrand and Mark Weinland. Survivors include his children Bryan Lough, Diana Lough, Valerie Lough and Matt (Suzy) Weinland; brother Tom Lough; grandchildren Jason and Jessica Hildenbrand, John Brandt, Donald K. Lough, Aubry VanTress, Zachary Weinland, Megan Weinland and Amanda Neer; thirteen great-grandchildren; many nieces and nephews. A memorial service to honor Don will be Saturday at 11:00AM in the RICHARDS, RAFF & DUNBAR MEMORIAL HOME with a gathering beginning at 10:00AM. Memorial contributions are requested to the American Cancer Society. Expressions of sympathy may be made at www.richardsraffanddunbar.com.